This only happens on 1-2 frames per 10. I am being lazy when returning the frames to the hive after inspection. As a result, I am leaving an ever so slightly gap between the top of the frames where they should be pushed together snug. 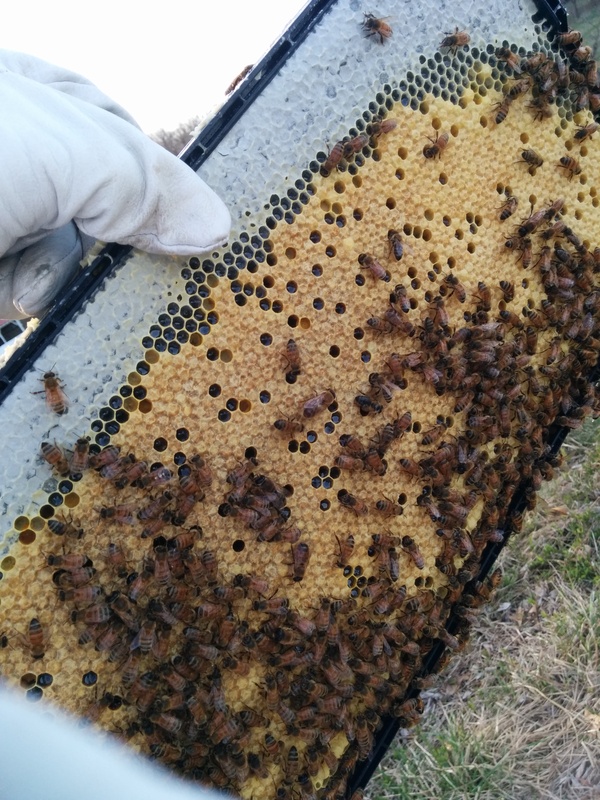 To remedy this, I simply scrape off the offending comb, then return the frame to the hive with special care given to proper spacing. Many beekeepers recommend centering the frames, but it is not as important as making sure the frames are pushed together tightly. 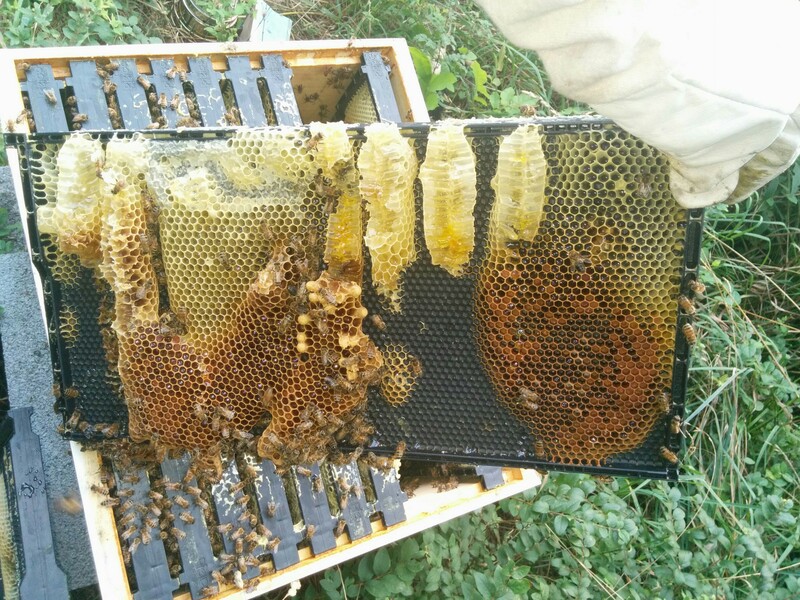 You can leave the removed comb a few hundred yards from the hive allowing your bees to rob back their own honey. If left near the hive, it will attract robber bees as well as pests, both in bug and mamallian forms. More simply, you can also just harvest (or eat on the spot) the honey and wax! → Sorry for the unexpected break! It may be due to an error but I kind of like the look of it. Artistic.